If you’re ready to take your portrait or product photography to the next level, check out this Buyer’s Guide from dpreview.com. Be sure to read through the user comments on the article as well as they have some pretty helpful thoughts. 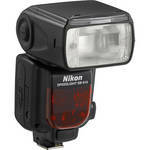 Rob Galbraith gives us a fantastic in depth review of the new Nikon SB-910. Check it out here. Looking to buy? We recommend BH Photo Video! The Boston Globe has posted a collection of 50 fantastic photos from the natural world for 2011. Become a Photographer for Christmas? I have to admit that I’m in agreement with the writer of this article. That said… we have a lot of great workshops scheduled for 2012 to help you become a professional photographer… just do it right! How Good is the iPhone Camera? I love my new iPhone 4s, and I even love it’s camera. We’ve all seen the sample galleries of pro photographers who have used it for this or that photo shoot, but the question remains… just how good is the camera really? Pop Photo magazine has recent run the iPhone 4s through their camera test lab in an attempt to answer that question. Check out their thoughts here.